Prof Kim Heung-Kwang, a defector from North Korea who escaped from the country in 2004, has revealed that North Korean hackers have enough control over infrastructure that they could theoretically even kill people. 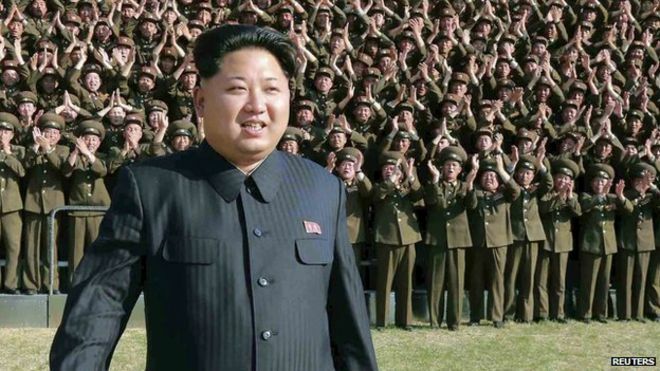 The Professor revealed this piece of information to BBC and said that North Korea approximately had around 6,000 trained military grade hackers. He has urged international organizations to step in and defuse the threat North Korea's hackers are becoming. Before defecting from North Korea, Prof Kim taught at the Hamheung Computer Technology University for 20 years in the field of computer science. Bureau 121, North Korea's hacking unit, has been widely accused of being responsible for recent hacks like the Sony Pictures one that occurred last year. Many of the attacks of North Korea seem to be focused on their immediate neighbor, South Korea. Hackers Attacked the Palestinians main servers and shut down the Internet and Phone service,says Mashour Abou Daqqa (Palestinian Telecoms minister) on Tuesday. He alleged foreign govt behind this attack. 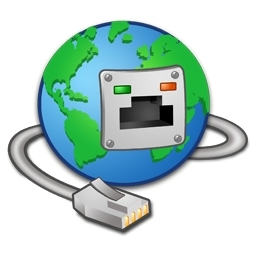 The attack affected Internet service across the West Bank and Gaza.The minister said hackers are using international IP servers that indicates location as Germany, China, and Slovenia . "Since this morning all Palestinian IP addresses have come under attack from places across the world," Mashur Abu Daqqa told AFP on Tuesday afternoon. "The sites have been attacked in an organised using mirror servers. "I think from the manner of the attack and its intensity that there is a state behind it, and it is not spontaneous." "Israel could be involved as it announced yesterday that it was considering the kind of sanctions it would impose on us," he added. hi5ads.com is hacked by a Hackers team named as "3xp1r3 cyber army". They exposed the database in pastebin. About 8000 users data is leaked. 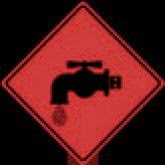 The leak contains the password and email of users. If you are one of the user and used same password for gmail, immediately change your password now . Majority of password is 123456, those users may not know about the cyber security. If you also using simple password like 123456,iloveyou,ilovemom, then you should Check our Security Blog to know about the Interenet Risks and Cyber Security. 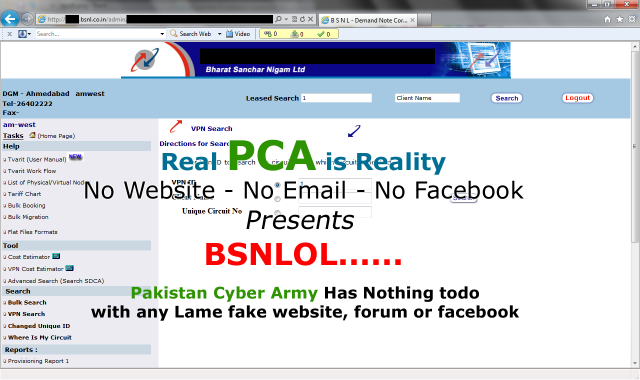 Bharat Sanchar Nigam Ltd (BSNL), an Indian state-owned telecommunications company, is reportedly breached by the Pakistan hacker group referring itself as "Pakistan Cyber Army" . The group provided the three screenshots that proves they have gained access to the database. They are reportedly accessed 10,000 User personal information including name, email, phone number and location. The hackers also compromised some other information including BSNL’s internal working of VPN ,detail of circuits and as well as more technical details. 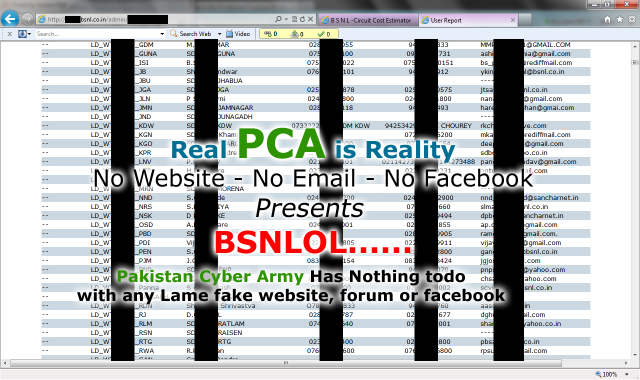 Lucky, leader of the Indian hacker group "Indishell" hacked into the Pakcyberarmy.net and cracked 1500+ user's passwords from their database. 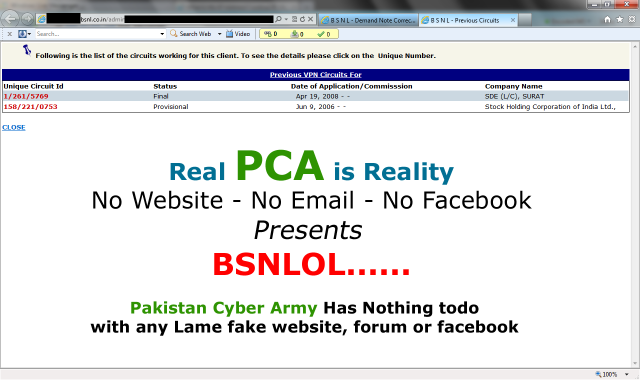 Pakcyberarmy.net is the hub of most of the Pakistani hackers. He leaked the info via an excel file.